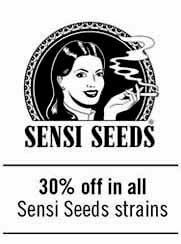 rheumatoid arthritis, diabetes, alcoholism, PTSD, epilepsy, antibiotic-resistant infections and neurological disorders. Many scientific and clinical studies indicate that CBD could be effective in easing symptoms of a wide range of difficult-to-control conditions, including: rheumatoid arthritis, diabetes, alcoholism, PTSD, epilepsy, antibiotic-resistant infections and neurological disorders. And the CBD-crew, how did it come about? It is not every day you see two seed companies collaborating so closely? Shanti: You mean instead of stealing and feminizing your competitor’s genetics? Jokes a part, if you want to develop new genetics based on their chemotype (which cannabinoids will be produced in the resin of the flowers) there is plenty of hard work based on trial and error to go through. First of all you need to be able to test the cannabinoid content of the genetics you are producing, in order to select the right ones to move ahead with your project. We collaborate with a certified laboratory for a series of analytical tests during the course of the plants lives. 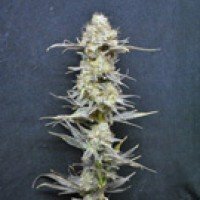 Before I started breeding CBD-rich strains, I was selecting plants based on their aromatic profile, flowering period, yield etc. In this case you need to wait for the lab to send you the result of your samples before you can start to evaluate how to move ahead! We are taking away the guesswork of a breeder and replacing it with precise science. Jaime: I fully agree with Shanti, plenty of time-consuming work here! Furthermore with Cannatonic we discovered that only 50% of the plants grown were CBD rich. This means that out of a packet of 10 seeds you would only find 5 plants that were really CBD-rich. Our goal was to overcome this problem and offer seeds that are 100% CBD-rich, which for patients would mean that they do not need to test samples to select a mother for producing their own medicine. When will the CBD-crew debut its new product line? Jaime: By end of August 2011 we will select medical cannabis growers around the world to test the new experimental crosses we made using legendary genetics of Mr. Nice Seed Bank and Resin Seeds as starting points. We are fortunate to work with growers that can have access to a lab to test their plants during the growing season. Shanti: Each test grower will receive 10 seeds of a new CBD-rich cross – our goal is for many growers in different climates to grow out 10 seeds and analyze a sample of each plant so ultimately we can verify that we reached our goal of offering 100% CBD-rich seeds to patients. If we succeed, then we’ll start selling those new varieties, which could happen somewhere during November 2011. 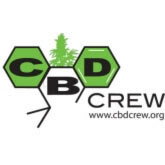 Check out www.cbdcrew.org for more info and updates. I have not seen the cannabis market/community showing much awareness of CBD itself or the fact that not all plants growing from a seed packet of CBD-rich seeds actually contain CBD. Do you really think there is a future for those hit and miss CBD seed strains? Jaime: Good point. I also saw new seed companies that mention CBD-potent strains in their catalogue but offer no test results to back up their claims. At the end people should really grow at least 10 seeds of a CBD-rich strain and test all of those seeds for their cannabinoids content – there is no other way to prove it! 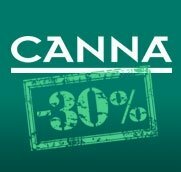 I saw many patients in North America that tried Cannatonic. These patients really felt an improvement in the quality of their lives. These are the patients we want to help without any cheap marketing tricks! Shanti: Correct Jaime! I also noticed that during the last Medical Cannabis Cup in San Francisco there was new prize for CBD-rich strains. I feel the revolution is coming and slowly patients will start to try the effects of CBD for themselves: there is nothing more convincing than a patient that can testify the effects of this molecule and suggest it to other patients! Let’s not forget that CBD was always present in hashish, like charas and Moroccan, where the resin from many different plants is mixed together. We are just aiming to have that THC:CBD ratio combination in one bud!